Hard-coding it in the <txp:zem_contact_select subject="SMI" .../> did the trick. Then that’s a bug/undocumented feature ;-) It’s not supposed to support that attribute. I’ll have to investigate. Absolutely. That attribute is only officially supported in the <txp:zem_contact> tag, not in the <txp:zem_contact_select /> tag. Thanks. I missed that! It also appears that I receive no updates from the forum anymore… Will check that out, too. Thanks, Stef. I missed this response completely. It appears that I receive no updates from the forum anymore… Will check that out, too. Once again thanks. And Steff, too. I checked. There are indeed no Japanese language strings. How can I fix that? 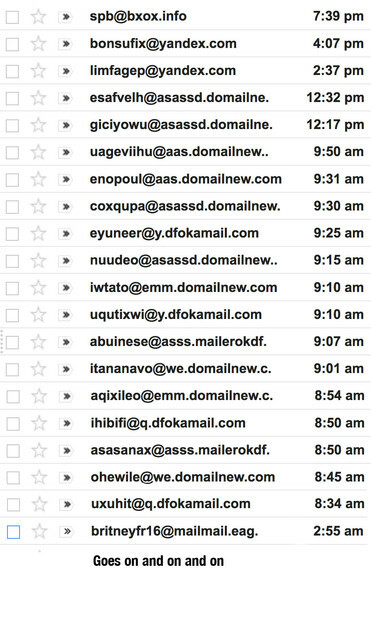 We have really bad spam attacks via ZCR for some weeks now. I have pap_contact_cleaner and Stef’s suggestion at work. Is there a way I can stop them? This quote is from “zem_contact_reborn 4.0.3.20”-Plugin Support-Thread.